Ms. Ivanov maintains a very busy private practice. Many of her students are recipients of numerous prizes and are winners of such competition as Piano Teachers Congress of New York’s Young Pianists Competition, New Jersey Music Teachers Association’s Young Artists Competition for Piano, The Cecilian Music Club Young Artist Competition, Piano Teacher's Society of America’s Solo & Ensemble Competitions, Show Case for Exceptional Young Artists in Plainfield, NJ, Russian Festival Competition, sponsored by the Talented Young Musicians Association and Young Pianist Competition of New Jersey’s Concerto, Ensemble, Solo & Young Artist Divisions. Many of her students have appeared at Weill Recital Hall at Carnegie Hall, Alice Tully Hall at Lincoln Center and Steinway Hall in New York City, Bethel Woods Event Gallery, & the Shandelee’s Sunset Concert Pavilion, New York as well as with the Plainfield Symphony Orchestra (New Jersey) and Orchestra Sinfonica del Festival di Chioggia(Italy). 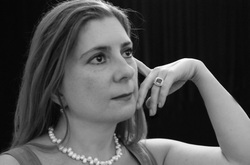 Ms. Ivanov also adjudicated International Competitions in Italy, such as the Festival “Musica in Laguna” International Concerto & Solo Competitions – Junior & Senior Divisions (2003 – 2013 Chioggia, VE), the Lorenzo Perosi International Competition (2007 Tortona), and the Saint Giorgio Music Association’s Cervo Younger Musicians Festival (2009 Cervo). Ms. Ivanov was invited by the Kazakh National Academy to adjudicate the 2006 & 2008 Astana-Merey International Piano Competition (Astana) and by the Kazakh National University of Arts to adjudicate the 20th International Competition for the Youth “Shabyt” (2017).